It falls low on the priority list. Because let's face it, businesses are busy, and there's always going to be something else that's more pressing than print strategy. But that doesn't mean it's not important. Not having a print strategy can cost businesses a lot of money, especially year over year. Print costs can take up anywhere between 1-10 percent of an organization’s total revenue. 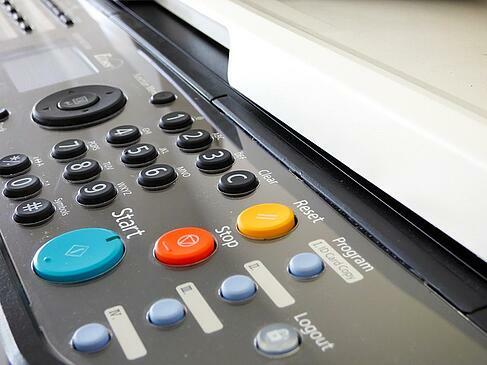 Managed Print Services is a way for businesses to outsource the day-to-day services for their print fleet, and it can be customized to meet specific needs. Any network connectivity issues related to your print network are also part of your MPS program. Whether it's replaced and upgraded workstations or IP address changes for relocated equipment, we have the resources to ensure your print environment is unaffected by these changes. IT departments really can't afford to troubleshoot printing issues or deal with break fixes. They have more critical projects and issues that they need to be focusing on. MPS tracks printer use, allowing your provider to know when you're running low on toner or supplies or when you're in need of service. Supplies, on-site service and equipment replacement are covered in your MPS program with no additional charges or expenses. Under MPS, you have access to experienced, technology savvy representatives during normal business hours. They will help you work through any printing, scanning, copying, faxing and basic network connectivity issues. Additionally, an effective help desk is equipped to help you work through and adjust to new or upgraded software on your equipment. Putting a print strategy in place that effectively monitors and manages your fleet of equipment can provide your organization cost savings of up to 30 percent. Yes, Marco's Managed Print Services comes with the standard service, supplies and maintenance you'd expect, but there's also IT expertise within the service. We provide MPS, and we're also IT professionals. This effectively gives Marco's MPS a stronger deliverability and creates additional opportunities for our customers to benefit.